If we want an innovative city, we have to physically structure Erie to be one. Many young professionals prefer connected, bikeable and walkable places. They avoid the burdens that car ownership entails preferring to walk, bike, use public transit, Lyft, Uber — or even rent a car. Walkability expert Philip Langdon, who visited Erie in 2018, champions the "New Urbanist" movement that prioritizes the needs of pedestrians with short blocks, street trees and interesting, mixed-used development like Kentlands in Gaithersburg, Maryland and Orenco Station near Portland, Oregon. Charles L. Marohn, Jr.'s Strong Towns blog lists four categories of walkability with the worst being "physically impossible or unsafe" and the best places making walking "the most efficient way to get around." 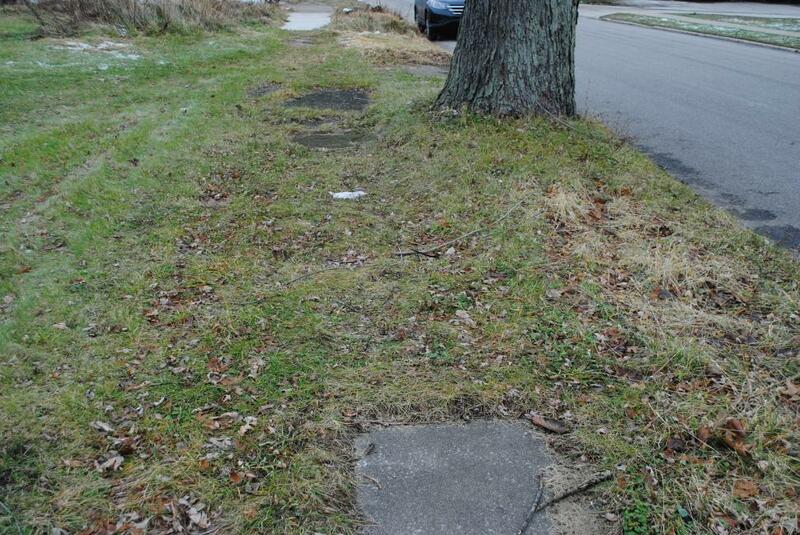 Too many routes in Erie are unpleasant and dangerous for pedestrians. In some places, people taking the most direct route (what planners call their "desire line") risk their lives to get where they are going. Many of our urban streetscapes are cluttered with suburban style developments created by non-urban mentalities that encourage cars to drive past them but contribute nothing to the pleasantry of pedestrians walking among them. What PennDOT is doing, and what City Hall is allowing, is discouraging people from moving to Erie. By creating wider highways in and out of the city, the message is: come visit but don't live here. The engineers at PennDOT describe their best "Level of Service" as a roadway where traffic never stops. Letting PennDOT plan our city is a terrible idea because their vision is of car-centric places that are impossible to walk. 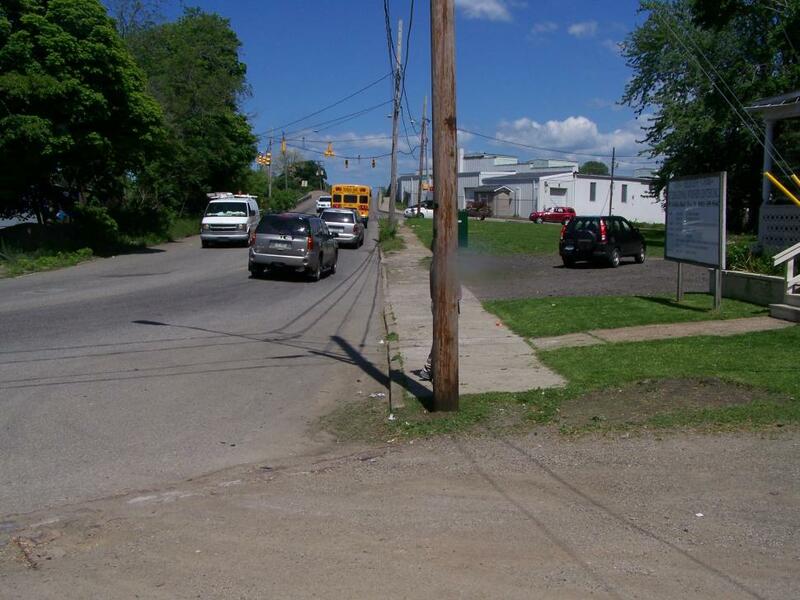 In 2005, PennDOT shot a 4-lane arterial highway through Erie's most impoverished, diverse zip code, 16503. Over $180 million was spent on this highway for the benefit of 14,000 daily vehicles while bypassing struggling East Avenue businesses. When the neglected McBride Viaduct was closed to vehicular traffic in 2010, the removal of cars was a gift to pedestrians. With its approximately 30-foot wide expanse, the bridge offered spectacular views of industry, railroads, church steeples and the sky. Graffiti artists adorned surfaces. Fairview teens scheduled photo shoots. Penn State students skateboarded across and a Gannon sorority filmed recruitment videos on the gritty structure. The Viaduct was an iconic destination. After building the Rt. 290 Bayfront Connector, PennDOT and City leaders began planning the demolition of the "redundant" Viaduct. Supporters fought for an on-the-record Public Hearing about the cost and benefits of saving the structure. Unfortunately, two mayors, most of City Council and local architect R. Jason Wieczorek were against saving the Viaduct. Wieczorek, one of Schember's advisors, explained to The New York Times that we needed to prepare Eastsiders to move out of their neighborhoods. Wieczorek quoted planner Richard Florida's old saw about city's needing to attract the "creative class." Rejecting Wieczorek's mistaken understanding, Florida told The New York Times that to be an innovative, thriving community, cities also need to cultivate "talent from within — immigrants, refugees, African-American communities." By failing to hold a Public Hearing and by demolishing the Viaduct, City Hall chose to ignore national leaders on urban design and innovation: John Norquist, the former CEO of the Congress for the New Urbanism; "Just City" architect Toni Griffin; "Town Shrink" Dr. Mindy Thompson Fullilove; NYC City Parks Planner Charles McKinney and walkability expert Philip Langdon. City Hall dismissed the advice of Charles Buki, the lead author of Erie Refocused. The dozens of residents who spoke at City Council were ignored along with the African-American Concerned Clergy, CIVITAS, ErieCPR, Preservation Erie, the Erie NAACP, Jay Breneman, Jim Wertz, Rev. Dr. Charles Mock, Father Jerry Priscaro, Public Housing Director John Horan, former County Executive Judy Lynch and even the much-lauded VNET businessman Joel Deuterman who wrote that saving the Viaduct was the visionary thing to do. Frustratingly, the cost of demolition, now over $2.8 million, is close to the $3 million it would have taken to stabilize and spruce up the Viaduct. 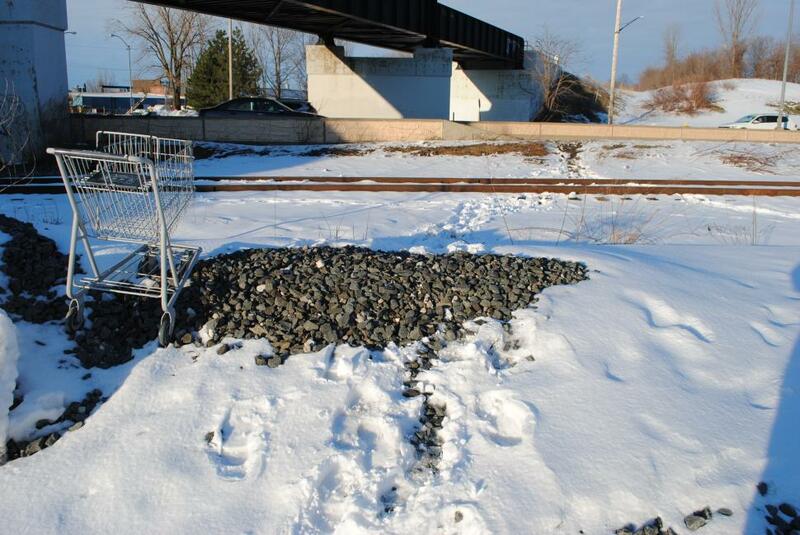 Recently PennDOT's traffic engineers displayed their plans for a 4-lane "Parkway" on the Bayfront. Their proposal features roundabouts and vehicular underpasses to allow traffic to move through the city without stopping. This PennDOT plan will sever the City from the waterfront with a Robert Moses inspired plan that threatens public health and innovation. 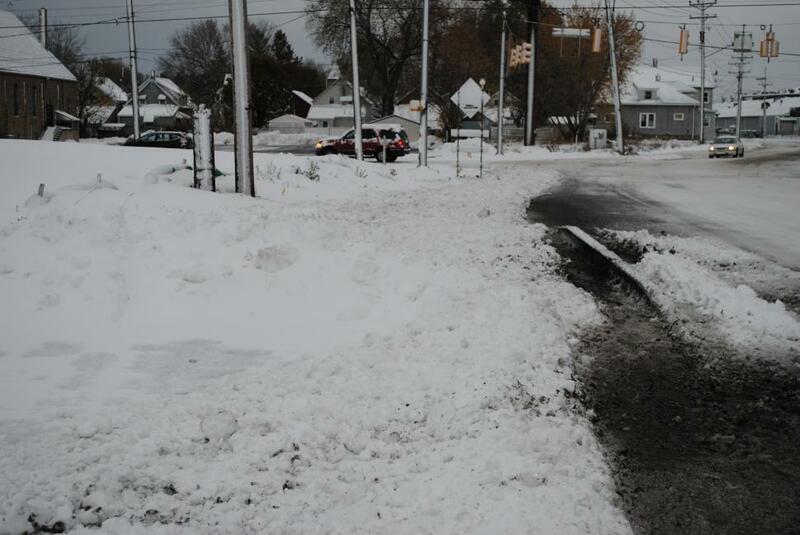 Erie must stop building new roadways. We must narrow our excessively wide roadways (like Peach Street at 18th) and reduce our number of one-way streets. We must eliminate parking minimums in our zoning code that are forcing businesses to create desolate parking lots. We must increase taxes for parking decks. Dr. Donald Shoup, an expert on the high cost of free parking, encourages demand-priced parking to fund improvements like street trees. By attracting more employed residents downtown, Erie will evolve beyond bars, arenas and non-profits. 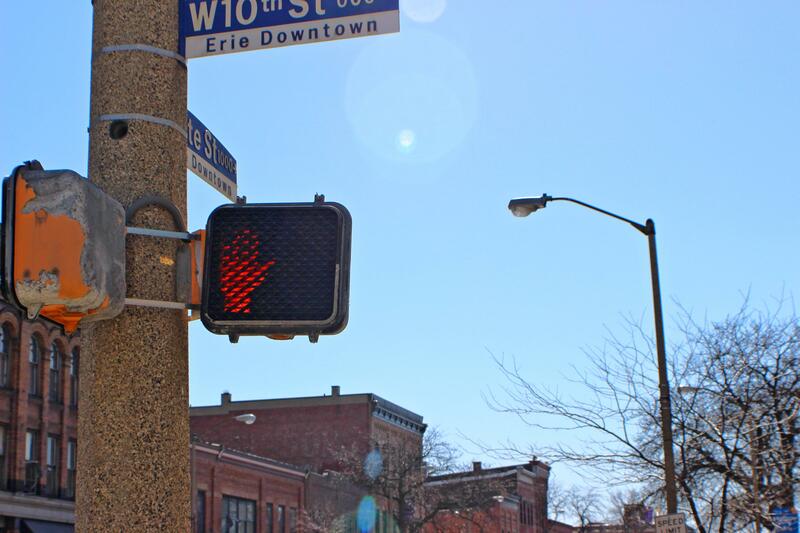 However, to achieve the needed population density, Erie must become walkable. Through pedestrian-centered urban design Erie can become the kind of thriving, innovative place Charles Montgomery describes in Happy City. As Jeff Speck encourages in Walkable City, if cities can "get walkability right" then "so much of the rest will follow." To "get walkability right" we must correct Erie's flawed decision-making processes (like the one that led to the Viaduct demolition). We must engage residents in planning their neighborhoods. As Charles Landry wrote in his "Toolkit for Urban Innovators," creative cities must "entrust governance to those directly affected." To empower our diverse residents, to attract newcomers and foster innovation, we must make Erie walkable. To champion walkability, we ask you to financially support the Federal Appeal by the all-volunteer community group, ErieCPR. By donating via GIVE LIVELY you can help correct our flawed planning process.